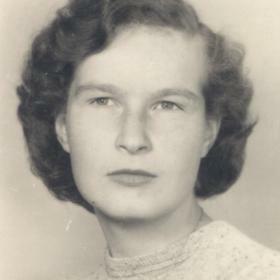 Mrs. Patricia Joyce Estlund, age 83, passed away Sunday, April 22, 2018. She was born in Muskegon, Michigan on July 14, 1934 to Dean & Anna (Smith) Raymond and married David Estlund on November 10, 1956. 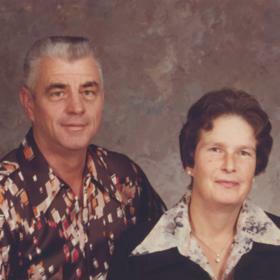 Mrs. Estlund had been a loving wife, mother and grandmother. 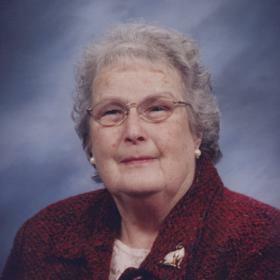 She was a very active member of Fruitland Covenant Church and past board member. She was an excellent cook who enjoyed gardening, sewing and canning. She will be greatly missed. Daughters, Deana Cumings of Norton Shores, Andrea (Mark) Simpkins of IN, Susan Estlund of Whitehall; grandchildren, Deanowa Hull, Christopher Cumings, Rachael Martin, Joshua Simpkins; 10 great grandchildren; many nieces & nephews. She was preceded in death by her husband in 1999 and siblings, George, Marlin, Randall, Iva, Linda & Judith. Friday, April 27, 2018, 11:00 am with visitation one hour prior to the services at the Clock Chapel - Muskegon with Rev. Ken Shady officiating. Interment in Fruitland Township Cemetery.